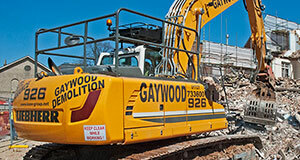 The term “Kane”, “Kane Group”, "Kane Haulage Ltd", "GJG Environmental Ltd", "Kane Plant Ltd", "GJ Gaywood Ltd", "Arkoss Demolition Ltd", "us", "we" or any variation of the aforementioned refers to the owner of the website whose registered office is Regent House, 1 Pratt Mews, London NW1 0AD. The term “you” refers to the user or viewer of our website. • This website contains material which is owned by or licensed to us. This material includes, but is not limited to, the design, layout, look, appearance, photographs and graphics. Reproduction is prohibited other than in accordance with the copyright notice, which forms part of these terms and conditions. • You may not create a link to this website from another website or document without Kane Group’s prior written consent. The information contained in this website is for general information purposes only. The information is provided by Kane Group and while we endeavour to keep the information up to date and correct, we make no representations or warranties of any kind, express or implied, about the completeness, accuracy, reliability, suitability or availability with respect to the website or the information, products, services, or related graphics contained on the website for any purpose. Any reliance you place on such information is therefore strictly at your own risk. 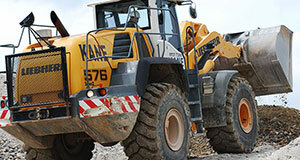 Through this website you are able to link to other websites which are not under the control of Kane Group. We have no control over the nature, content and availability of those sites. The inclusion of any links does not necessarily imply a recommendation or endorse the views expressed within them. Every effort is made to keep the website up and running smoothly. However, Kane Group takes no responsibility for, and will not be liable for, the website being temporarily unavailable due to technical issues beyond our control. ©This website and its content is copyright of Kane Group 2014. All rights reserved. Kane Group reserve the right to update all and any content on this website at any time without notice. 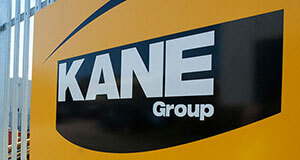 The Kane Group is committed to ensuring that your privacy is protected. Should we ask you to provide certain information by which you can be identified when using this website, then you can be assured that it will only be used in accordance with this privacy statement. Firstly, what is a cookie & how might we use them? A cookie is a file containing a series of letters and numbers that is sent by a website to your browser, and then stored by that browser. The cookie enables the website to identify and track the specific browser. The site may use “session” cookies and/or “persistent” cookies. Session cookies are deleted from your computer when you close the browser whereas persistent cookies will be stored on your computer until deleted, or until they reach an expiry date. When used, session cookies will keep track of you whilst you navigate the website, help us to prevent fraud and increase overall website security. Persistent cookies allow our website to recognise you when you visit so that we can keep track of your preferences and any previous settings. We may also use Google Analytics (or similar tracking software) to analyse the use of the website. Google Analytics generates information about website by using cookies which are stored on users' computers. The information generated helps us to improve the overall performance, usability and marketing of our website. What to do if you don’t want to allow cookies from this site? The good news is that you don’t have to have cookies turned on to use this site, and if you’d prefer them not to be turned on, they can be rejected in your browser. Rejecting the use of all cookies is a pretty simple process with most browsers, and some will allow you to reject just 3rd party cookies. Aboutcookies.org is a good resource to learn how to do this if your browser’s help section does not explain it clearly.